Offering you a complete choice of products which include smartline level transmitters. In addition SmartLine Level Transmitter offers a new user experience from the start of using a new online tool or profiling the targeted tank application to the moment when the SmartLine Level Transmitter is installed and ready for measurement. The SmartLine Application Validation Tool prevents costly errors upfront by validating the SmartLine Level Transmitter against the specified process tank. The tool interfaces to Honeywell’s order management system ensuring that the transmitter is built to the right specifications. The SmartLine Level Transmitter displays an echo stem plot, providing measurement values for flange location, level and interface. The complete echo curve can be viewed through Experion PKS or common configuration tools such as Field Device Manager. 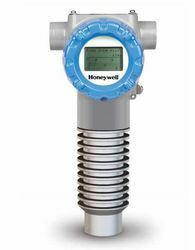 Looking for “Smart Level Transmitters”?